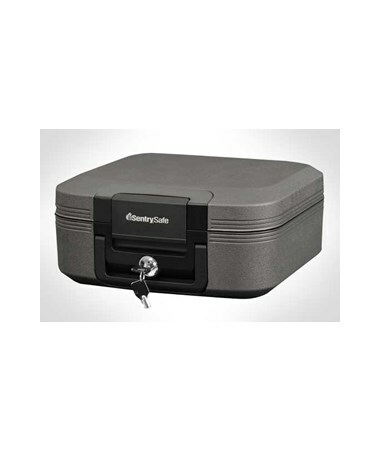 The SentrySafe Medium-sized Fire And Water Proof Personal Chest is a fire and water proof resistant chest with a tubular key lock. It is convenient for transporting due to its built-in carrying handle. This chest can survive 30 minutes in a fire of up to 1550°F and can be submerged under water, which is for protection against flood. 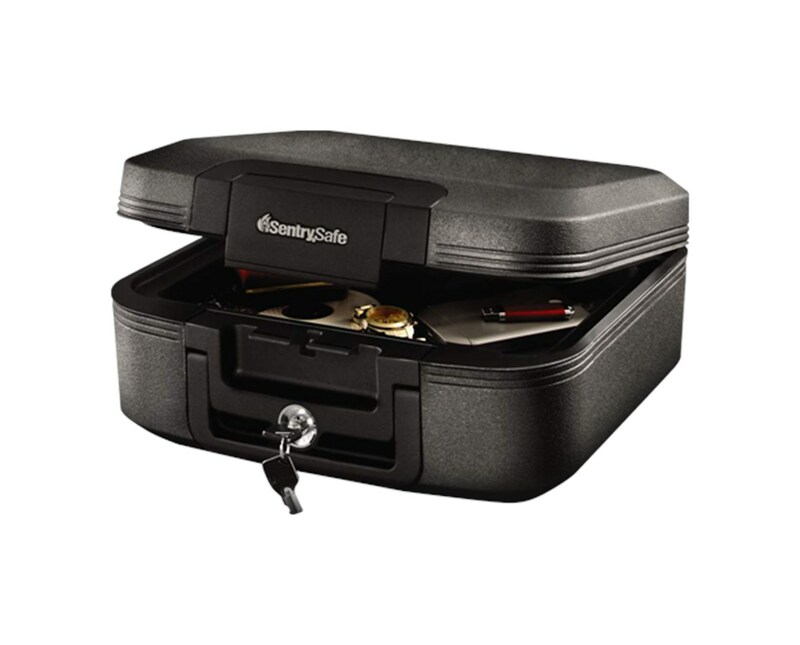 This medium sized chest is Underwriters Laboratories (UL) classified and ETL verified making it reliable for protection in a fire or flood.